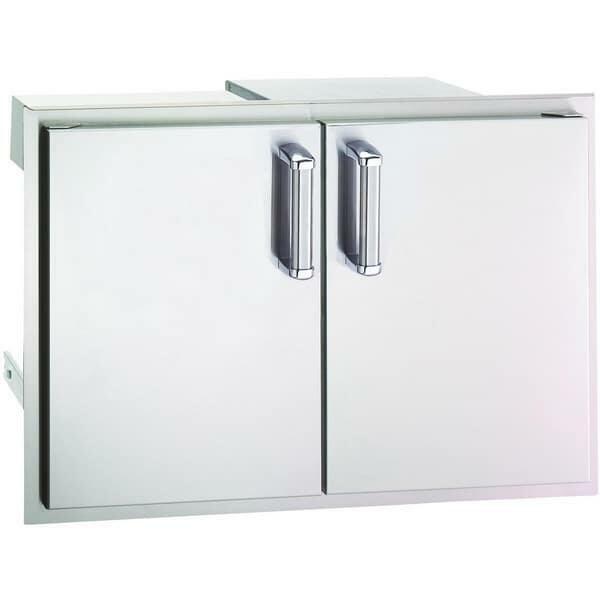 Complete your outdoor kitchen with the Double Access Doors with Two Dual Drawers by Fire Magic. Constructed of premium 304 stainless steel, this storage unit is made to withstand the elements and protect your supplies and accessories. The tasteful double doors feature stylish radius corners and handles and are a perfect match for Echelon and Aurora Fire Magic grills. They have a magnetic latch, heavy-duty handles and hinges, and are insulated with polyethylene foam. The handy dual drawers are the ideal place to store tableware and utensils.